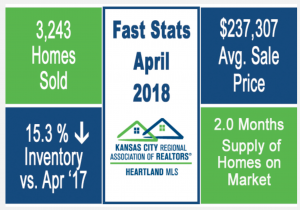 April 2018 Kansas City Housing Market Report from the Kansas City Regional Association of REALTORS® and Heartland Multiple Listing Service. 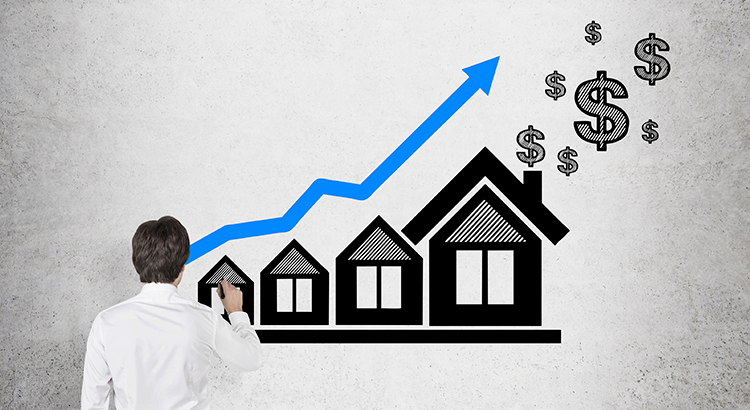 April 2018 average sales price for new & existing homes combined ($237,307) is 8.2% higher than April 2017. 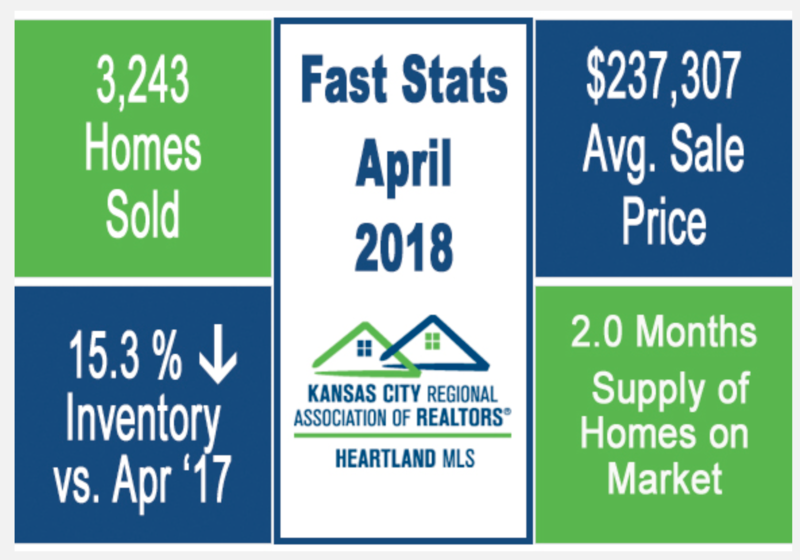 There were 3,243 home sales (new & existing combined) for April 2018 – .7% lower than last April 2017 (3,266). Home inventory (new & existing combined) for April 2018 (6,558) is 15.3% lower compared to April 2017. The supply of new and existing homes for April 2018 is 2 months representing a home market favoring sellers.